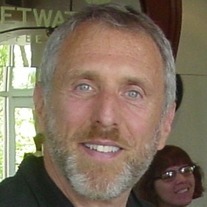 In previous blogs, I shared two documentary films produced by the H.O.P.E. project 1 : “What You Eat Matters” 2 and “From Cancer Patient to Plant-Based Strong Man” 3 . H.O.P.E. 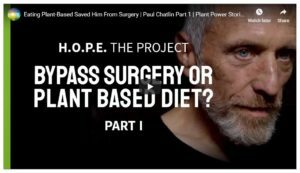 have just released another short documentary film about Paul Chatlin, a man with heart disease who was saved from surgery by changing to a plant-based diet. In 2013, after being diagnosed with heart disease, Paul’s doctor gave him a simple choice – change his diet or undergo major heart surgery. At the time, Paul was eating a typical Western diet, with cheese and meat being his favourite foods. Having loved pretty much anything fried in oil, he was given a “nutrition prescription” which required him to give up all these foods and cut out the oil – replacing his habitual diet with a low fat, whole food, plant-based diet. Having spent his whole life eating one way, he found it a struggle to know what he could now eat and how he could prepare it without using oil. 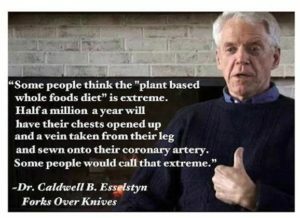 Luckily, he came across and attended a seminar on plant-based nutrition by the world-renowned physician and researcher Dr. Caldwell B. Esselstyn 4, a major player in the famous WFPB documentary film, “Forks Over Knives” 5 and author of his must-read book, “Prevent and Reverse Heart Disease: The Revolutionary, Scientifically Proven, Nutrition-Based Cure.” 6 . As a result of the seminar, Paul was better equipped and motivated to strike out with his new diet and lifestyle. One month on, his heart pain went away completely. Within a year, his cholesterol levels had dropped from 309 to 122. He also lost over 40 lbs (18 kg). Paul was so amazed with the health impacts of changing to a plant-based diet, that he started The Plant Based Nutrition Support Group (PBNSG) 7 to help others make the transition to the optimally health WFPB diet. In this second in the series of H.O.P.E. ‘Plant Power Stories’, Paul shares his journey back to health and encourages us all to give back to our communities. 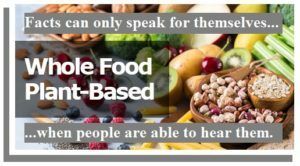 If you consider that plant-based eating is of value to the health and well-being of your friends and family, perhaps you could consider sharing this blog with them. So many people are facing a lifetime on medications and/or having invasive surgery for conditions that could be avoided and treated with simple dietary changes. But, of course, they have to know that such an alternative exists in the first place! 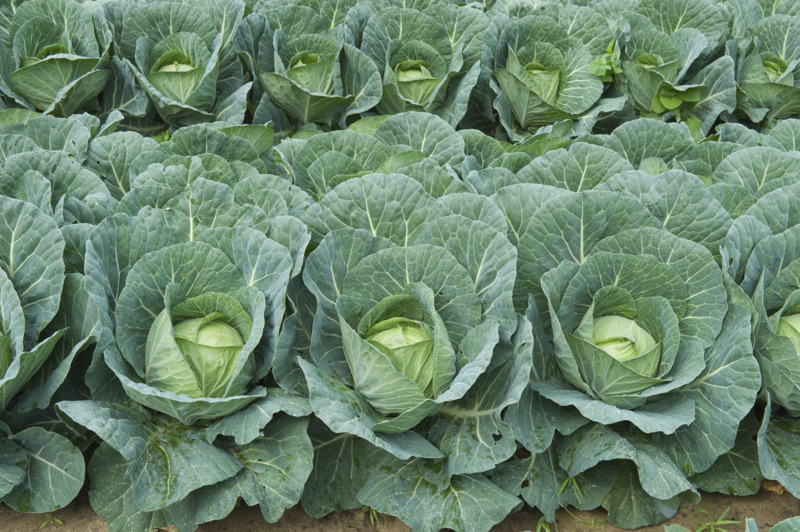 Whilst anecdotal success stories such as Paul’s are likely to inspire hope, all nutritional claims made on this website are always backed up by peer-reviewed, scientific research.